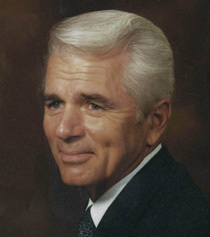 Garner Ted Armstrong was a prolific writer and over decades produced hundreds of booklets expounding various Biblical issues. Booklets are available to read online from our HQ website, download or request hardcopy from the titles listed in the “Booklets” link found on the “Contact” page of this website. Garner Ted Armstrong over decades also preached thousands of sermons. Some of his best can be found at our main website. Many hundreds more can be found on this website in video under the GTA TV & Video Sermons tab and in audio under the “Audio” tab. CDs and DVDs are available from the Australian GTAEA office. List of GTA Sermon titles currently available on CD or DVD. Please restrict each request to two titles only. Additional or alternative titles may be added from time to time. Enter your name and email address to join our free newsletter.